Rebuilding after a disastrous earthquake or typhoon – especially in an emerging nation – should not only repair what is broken but also lay the foundation for safer communities. 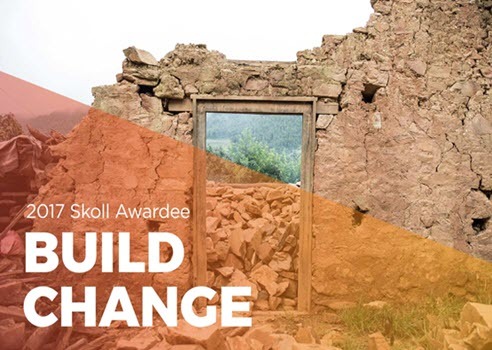 That’s the philosophy of Build Change, a global nonprofit social enterprise that designs disaster-resistant houses and schools and works alongside builders, homeowners, engineers, and government officials to build them for lasting safety. Cutting-edge, earthquake-resistant construction is often not available or practiced in emerging nations. Instead of introducing completely new technologies or reintroducing methods that have gone out of style, Build Change engineers focus on small, low-cost improvements to existing, culturally preferred ways of building. Tactics like developing strengthening techniques for mud and stone homes in Nepal or providing technical training to Haitian construction workers on the best way to mix concrete can make all the difference in future natural disasters. Even so, without the demand for safer housing from homeowners, these tactics would not result in permanent change. By working with people involved in each step of the construction process, Build Change leaves behind innovations that these communities can easily – and permanently – implement. Providing the right training and skills for local officials and builders to enforce and execute stronger building standards, Build Change works toward the results that matter most: countless lives saved in the event of another catastrophe. Whether it’s cement or software, at the core of Build Change’s theory of change is the availability of the right technology. Without it, the barriers to success are too high. That same thinking applies to the computers used by the engineers and architects who staff Build Change projects. They use ThinkStation and ThinkPad P Series workstations to take full advantage of Autodesk’s 3D modeling capabilities, so their designs can stand up under any condition. "Build Change programs have touched 245,026 lives worldwide."